Do you know how wrap around mortgages work? Land contracts are here again? DEAR BERNICE: I live in Colorado. I was talking to one of my friends who lives in California. He has been hearing about “private” sales out there, especially in the higher price ranges where financing is hard to obtain. What is a “private” sale and are these legal? –Bill A.
DEAR BILL: I suspect what your friend is referring to is something called a “land contract” or “land sales contract.” Given the lack of financing in the jumbo loan market, this may a viable option for some sellers in this market. Land contracts were used extensively in the early 1980s, when home mortgage rates jumped to over 18 percent. All land contracts involve having the seller carry part of the financing. Since 35 percent of all homeowners own their property free and clear, seller financing can be an attractive option for those who must sell. When the seller finances the sale, there are normally no points or fees. This saves the buyer money. The deeds and other documents work in the same manner as in a transaction where there is bank financing. Unlike other types of financing, though, in a land contract the title normally does not transfer to the new buyer until the purchase price is paid in full. (Some states require the title to transfer after a certain percentage of payments have been made.) The deed transferring the title doesn’t record until this payment threshold has been reached. When the rates went sky high in the early ’80s, creative financing became the order of the day. Many sellers had low-interest-rate loans. 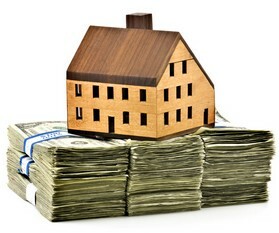 It was common practice for buyers to assume the existing financing. This could be through a direct assumption that the lender approved or it could be through what was known as a “wraparound” or “all inclusive deed of trust” (AITD). Here’s how wraparound mortgages work: Assume that a property sold for $200,000 and there were two loans on the property — a $100,000 first mortgage at 5 percent and a $20,000 second mortgage at 8 percent. The buyer puts down $20,000. The seller could wrap the existing mortgages and give the buyer an AITD. If the current bank interest rate was 14 percent, the seller might charge 12 percent for the AITD. This was a great deal for both the buyer and the seller. The buyer gets an interest rate that is 2 percent less than the current market rate. The seller would make an additional 7 percent annual interest on the $100,000 first mortgage, 4 percent on the $20,000 second, and 12 percent on the additional $60,000. Since the seller was only loaning $60,000 out of his pocket, the total interest of $15,000 per year represented a 25 percent return on the actual amount borrowed. Needless to say, the banks weren’t thrilled with this situation. Congress passed regulations so that the banks could stop borrowers from assuming or wrapping a loan without the lender’s permission. If the seller wrapped the loan without the bank’s consent, the bank could enforce the “due on sale” provisions by foreclosing. To avoid the due on sale provisions, the next wave of creative financing involved land contracts. Since the original owner is still on the title and is continuing to make payments, there was no way for the bank to know that a sale had taken place. The normal structure was to have the buyer make payments directly into an escrow account. The escrow then made the payments to the lender on the original seller’s behalf. The lenders eventually caught on to this strategy and started checking to see whose names were on the utilities. Many sellers then opted to keep the utilities in their name and simply increased the monthly payment. So is this still a viable option today? Land contracts are legal in most states. In fact, if you lived in California and you bought your home through Cal Vet in the ’80s, your purchase financing would be based upon a land contract. The buyer holds legal possession and occupies the property. For sellers in today’s market who own their property free and clear, a land sale contract could be a desirable way to sell their property. The reason is that if the buyer defaults, the buyer forfeits the right to purchase the property. There are definitely pitfalls to land contract sales, though, as it may be challenging to remove a defaulting buyer from the property. And buyers may have trouble receiving a marketable title even after making all of the payments to the seller. The seller can place a provision in the land contract that in the event of a buyer default, the past payments the buyer made are converted to rental payments. Once the buyer defaults, the owner can file an eviction notice. This is much faster and easier than going through a foreclosure proceeding. But because of the complexity of this type of sale, you will need a real estate attorney to make sure all the provisions are drafted correctly. Today, the banks are struggling to keep pace with the huge number of defaults, foreclosures, and short sales. The real issue is whether they would elect to foreclose on an owner if the payments are current. Personally, I would be reluctant to embark on the steps it would take to hide this from the lender. On the other hand, if the seller owns the property free and clear or receives enough money from the downpayment to pay off the existing loans, a land contract could help a seller close a property that might not be able to qualify for traditional financing in today’s market. See another Bernice Ross feature, How to Buy a Lucky Property.